Web hosting is a service provided a company in which a website owner received a server where the files of the website can be stored for a given period of time. Having a paid service is better than a free website hosting service if you want to earn good revenue from your website. 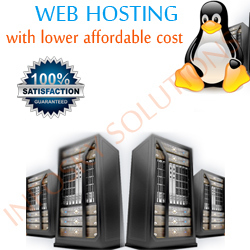 It is most of the most important feature to consider while choosing hosting service. For medium or small websites using few gigabytes is sufficient. Various companies claim ‘Unlimited Storage’ facility though it becomes essential to go through their terms and conditions to ensure the limit. Big websites require a huge amount of data to store their content. A bandwidth is the total data which your users and you can download/upload in a month. Popular websites and those with heavy content (videos, images etc) require quite amount of bandwidth. Go for the companies which offer unlimited bandwidth but again do not opt this without going through their terms and services. Having a e-mail made with your domain name helps you develop a better reputation in the market. For example – XYZ@yourdomain.com looks better when present on visiting card or website. Make sure that web hosting company provides enough email accounts when you take their services. In many cases, having unlimited email accounts is the best option. Also, make sure that they provide webmail interface and integration with Gmail. In present scenario, almost every form of website needs a database with growing business demands. Normally, economical hosts provide MySQL but high end services offer databases like SQL or ORACLE in their packages which is much more advanced. This feature is required if you are going to start selling the products online. So, make sure that suitable internet shopping related tools are part of the website host. A good website hosting company makes sure that web applications are installed by clients by one click only. It makes sure installation of content management system (CMS) portal and related apps are installed hassle free to your website. Choosing a web hosting services is the most crucial step while planning an effective and successful website for your business. So, make sure you follow this check-list properly to finalize the web hosting company to thrive in online realm.